Financial Strategy for Public Managers is a new generation textbook for financial management in the public sector. 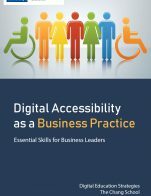 It offers a thorough, applied, and concise introduction to the essential financial concepts and analytical tools that today’s effective public servants need to know. It starts “at the beginning” and assumes no prior knowledge or experience in financial management. Throughout the text, Kioko and Marlowe emphasize how financial information can and should inform every aspect of public sector strategy, from routine procurement decisions to budget preparation to program design to major new policy initiatives. 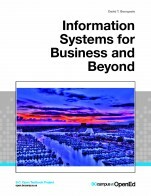 They draw upon dozens of real-world examples, cases, and applied problems to bring that relationship between information and strategy to life. 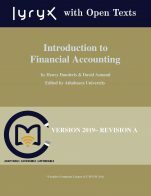 Unlike other public financial management texts, the authors also integrate foundational principles across the government, non-profit, and “hybrid/for-benefit” sectors. 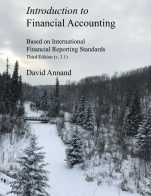 Coverage includes basic principles of accounting and financial reporting, preparing and analyzing financial statements, cost analysis, and the process and politics of budget preparation. The text also includes several large case studies appropriate for class discussion and/or graded assignments. Financial Strategy cover by Rebus is under a CC BY 4.0 International Licence (https://creativecommons.org/licenses/by/4.0/). 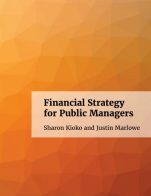 Financial Strategy for Public Managers by Sharon Kioko, Justin Marlowe, University of Washington is licensed under a Creative Commons Attribution 4.0 International License, except where otherwise noted.